The trailer is quite rude and explicit so if you're under 18 then don't click play! Smith’s everyday life in the dorms - hanging out with his arty, sarcastic best friend Stella, hooking up with a beautiful free spirit named London, lusting for his gorgeous but dim surfer roommate Thor - all gets turned upside-down after one fateful, terrifying night. Tripping on some hallucinogenic cookies he ate at a party, Smith is convinced he’s witnessed the gruesome murder of an enigmatic Red Haired Girl who has been haunting his dreams. What he discovers as he tries to find out the truth leads him deeper and deeper into a mystery that will forever change not only the course of his young life but the destiny of the entire world. 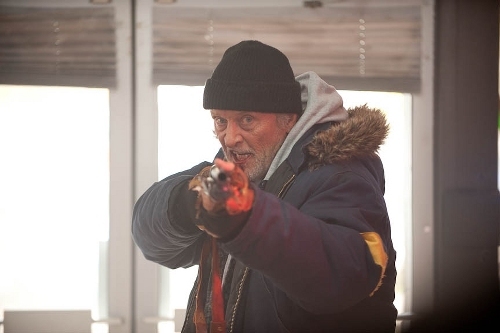 Henry's Crime looks and sounds as if it is going to be a really good film, but in actual fact I was rather disappointed when I finally got to watch it. 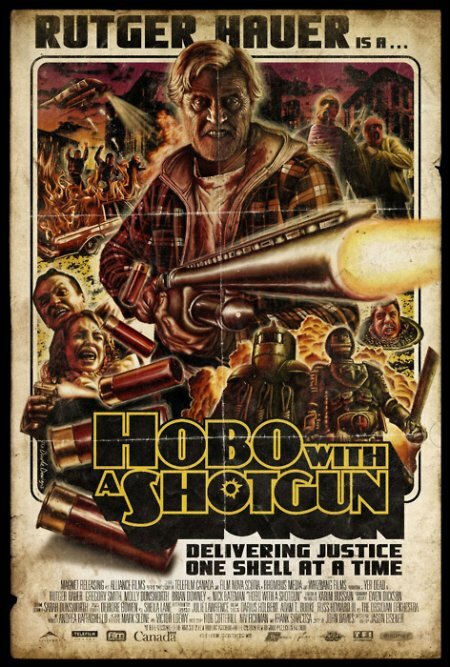 I would give this film 3 stars, as it has it's good points, but they are offset by plenty of negatives. The premise of the story is good, a man locked up for a crime he did not commit decides that he may as well go ahead and commit the crime after his release from prison. The film stars Keanu Reeves (The Matrix, Johnny Mnemonic) and James Caan (The Godfather, Misery) as former cell mates turned accomplices. I have always been a fan of Keanu Reeves, which added to my anticipation of watching Henry's Crime, but I have to admit that in this, I agree with the people who say that his acting is wooden. Although a lot of it seems to be intentional there are times when you feel he just isn't trying. Or maybe he is - which is worrying. The one thing which carries the film more than anything is the performance of James Caan who is magnificent as ever, and downright scary in places. Also good and eclipsing Keanu Reeves is his co-star, Vera Farmiga (The Manchurian Candidate, The Departed) who plays the role of self-centred actress to perfection. 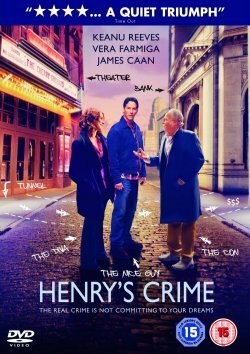 Henry's Crime is billed as a comedy, but although it is is mildly amusing in a few places, comedy is a bit of an exaggeration, in fact it even gets quite boring after a while. 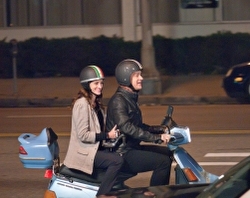 Included on the disc are interviews with the cast and crew and a theatrical trailer. 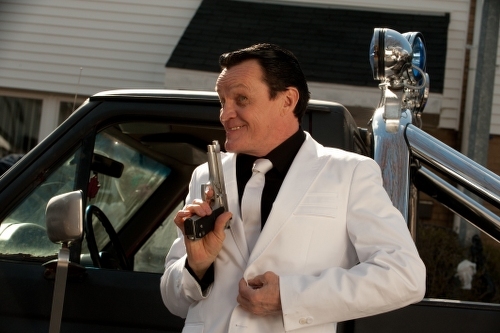 All in all, Henry's Crime is an okay film, fairly entertaining but will never set the world on fire. Dreamworks Studios presents REAL STEEL, a gritty, white-knuckle, action ride set in the near-future where the sport of boxing has gone high-tech. 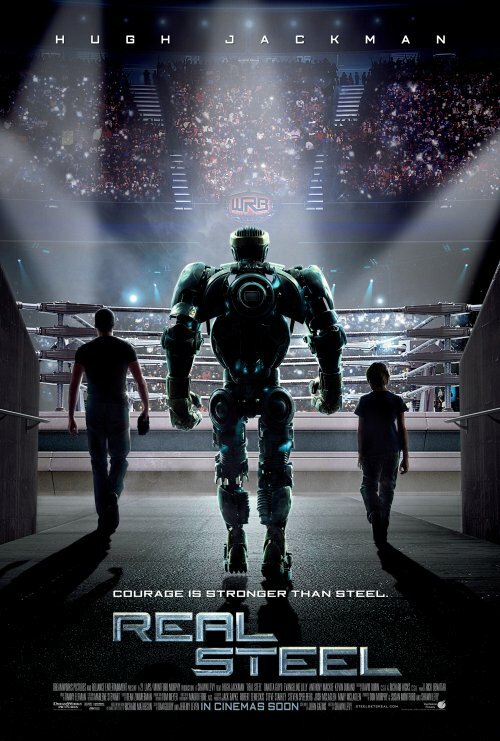 REAL STEEL stars Hugh Jackman as Charlie Kenton, a washed-up fighter who lost his chance at a title when 2000-pound, 8-foot-tall steel robots took over the ring. Now nothing but a small-time promoter, Charlie earns just enough money piecing together low-end bots from scrap metal to get from one underground boxing venue to the next. 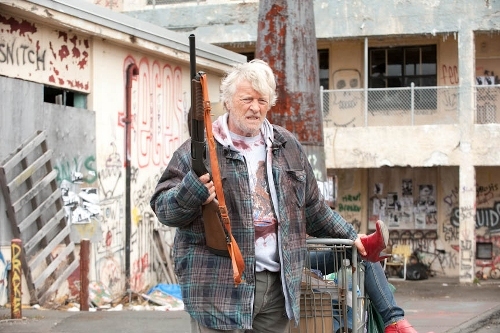 REAL STEEL begins when Charlie hits rock bottom. 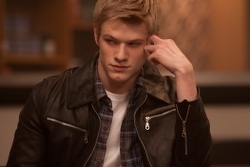 He reluctantly teams up with his estranged son Max (Dakota Goyo) to build and train a championship contender. As the stakes in the brutal, no-holds-barred arena are raised, Charlie and Max, against all odds, get one last shot at a comeback. To celebrate the release of Warner Bros. Pictures’ ‘Green Lantern’ in UK cinemas on 17 June 2011, UK movie fans are being enlisted to help make new discoveries in space. A unique partnership between Warner Bros. Pictures UK and the Zooniverse Project at Oxford University is targeting fans of the ‘Green Lantern’ film to assist a set of citizen science projects which lets internet users analyse images generated by some of the world’s best telescopes. Zooniverse users log in and use a simple set of tools to spot important features – for example the shape of galaxies, or the location of craters on the moon. 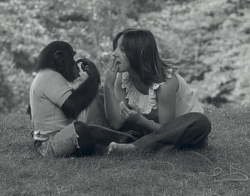 Human contributors are crucial to the success of the projects, as they are able to perform the task of marking the features better than a computer could. The aggregate data from the massed ranks of budding amateur astronomers is then passed back to Oxford University research teams for analysis. The Milky Way Project is the latest venture from the Zooniverse, which launched in December 2010. 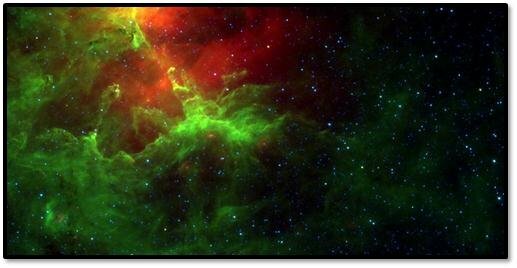 In it, users analyse photographs from the Spitzer Space Telescope, maintained by NASA, orbiting the earth. The particular feature that users are looking for in these is photographs are ‘bubbles’ produced by the formation of stars. They manifest in the images as green rings. Warner Bros Pictures UK and social gaming developers Hide&Seek have created a special version of the Milky Way Project interface, where fans can engage in a special narrative featuring the characters from the ‘Green Lantern’ film. This partnership is the first time a UK film marketing campaign has engaged with a citizen science project. No UK trailer exists. So here is the US "redband" one so be careful if you don't like cursing or bits of bodies being hacked / shot off! Find out more about the Green Lantern with a new AR smartphone app! To celebrate the release of Warner Bros. Pictures’ ‘Green Lantern’ in UK cinemas on 17 June 2011, a new mobile marketing initiative has been launched using state-of-the art handheld AR technology, Zappar, a new free-to-download app available on iPhone and Android devices that brings the physical world to life via your smartphone. The Zappar app can be used in conjunction with the film’s national six sheet campaign, Odeon Magazine ‘Green Lantern’ cover, The Mirror newspaper’s exclusive ‘Green Lantern’ poster and ShortList Magazine’s cover wrap in the run up to the film’s theatrical release in the UK on Friday 17th June. Users simply download the app and point their phone’s camera at the exclusive film advertising to launch the experience. 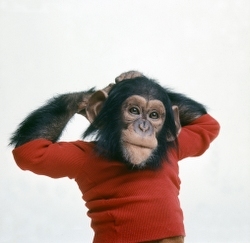 They can then interact with the campaign, unlocking audio, visual and animated features embedded in the image. The Odeon cover will also feature a pre-booking link for ticket sales from its cover in the run up to the film’s release. The Odeon Magazine is out on Friday 27th May and the ‘Green Lantern’ national poster campaign rolls out on Monday 6th June. The Zappar application is available for download at iTunes App Store and Android Marketplace. 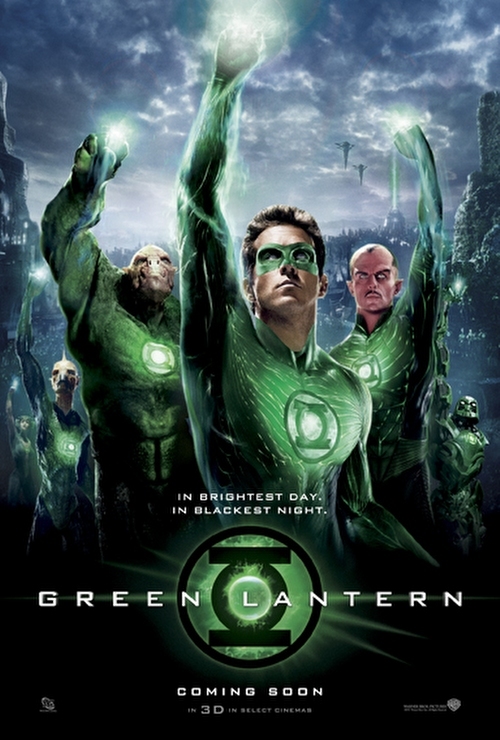 Bringing the endearingly popular superhero to the big screen for the first time, “Green Lantern” stars Ryan Reynolds (“X-Men Origins: Wolverine”) in the title role, under the direction of Martin Campbell (“Casino Royale”). 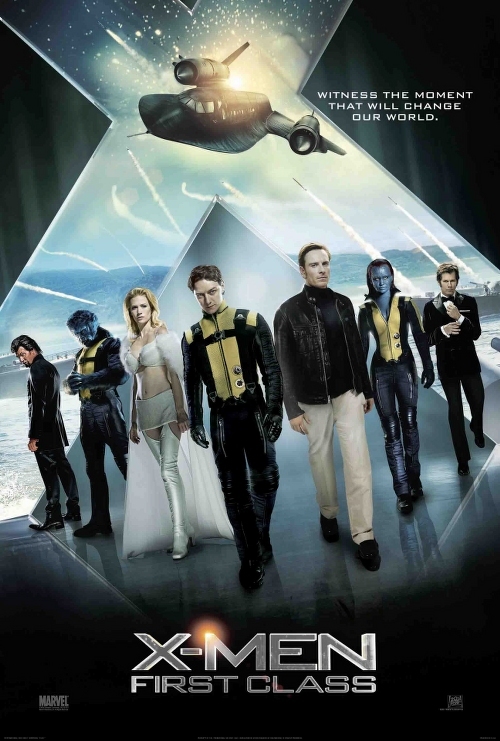 This is something different for the upcoming x-men movie reboot... 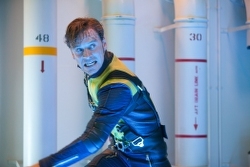 According to the press release it's a chance to "join Joe Utichi as he takes on the unenviable task of trying to become a first class member of the X-Men!" J.J. Abrams has gone back to making films about monsters. 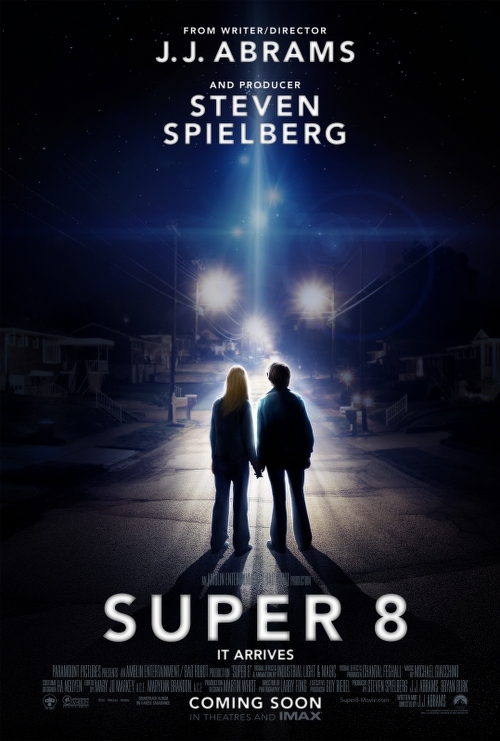 With watching the trailer it does seem like a mix of his last monster film, Cloverfield, and the producer's , Steven Spielberg's, E.T. Still quite a while to go before the film his UK cinemas. 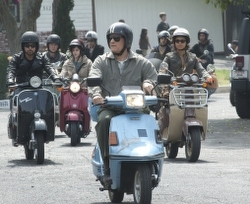 Fox has now released a new, full length, trailer for the film. 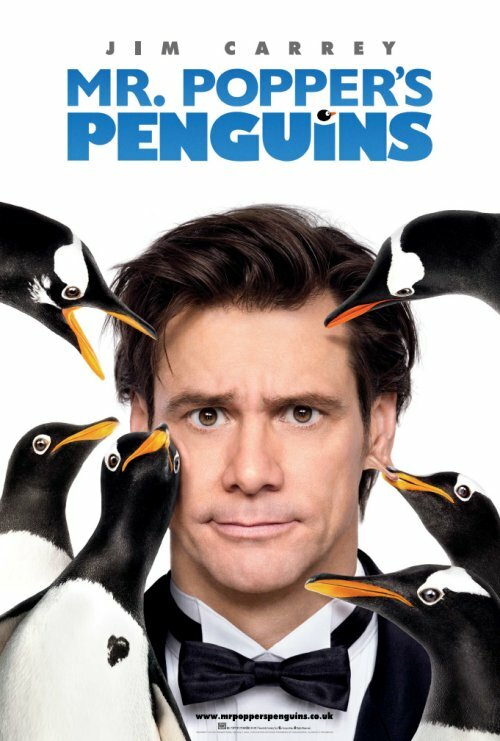 Jim Carrey is Mr. Popper, in a family comedy about a driven businessman who is clueless when it comes to the important things in life – until he inherits six penguins. While Popper’s penguins turn his swank New York apartment into a snowy winter wonderland – and the rest of his life upside-down -- they teach him valuable lessons about families… human or otherwise. 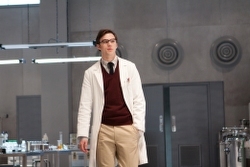 MR. POPPER’S PENGUINS is a contemporary update of the award-winning book. 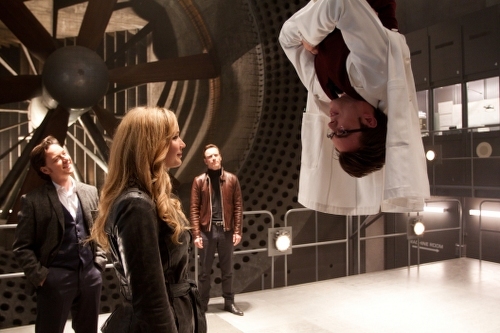 With less than a week to go before the film's launch, fox has now sent over a set of new clips. We've already had a clip before. However, this time we have 4 new ones to wet your appetite. With its blood drive still on, Metrodome has now released the poster as well as 3 clips about some of the character's back story - or what happened before I became a vampire. 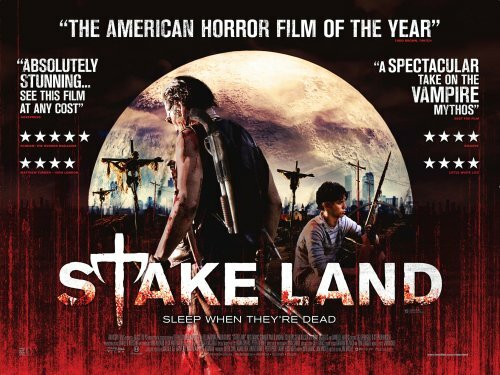 It does sound like it could turn into quite a cliche ridden film as the synopsis says it stars a minister, a num and a pregnant teen... What could possibly go wrong? With character posters and a teaser trailer already released it was just time before the poster and a full, non teaser, trailer was launched. It's now that time so I give you the new poster and full trailer for the film. The first ever British kid’s movie to be filmed in 3D, Horrid Henry: The Movie stars Anjelica Huston as Henry’s terrifying teacher Miss Battle-Axe, alongside, Rebecca Front as Henry’s headmistress Ms Oddbod and Richard E Grant as rival headmaster Vic Van Wrinkle, with Parminder Nagra as Miss Lovely, Noel Fielding makes an appearance as Killer Boy Rats’ frontman Ed Banger, joining Jo Brand as the Demon Dinner Lady, Matthew Horne as Henry’s Dad and Prunella Scales as Great Aunt Greta. And introducing new young stars, including Scarlett Stitt as Moody Margaret, Ross Marron as Perfect Peter and Theo Stevenson leads in the title role as Horrid Henry. 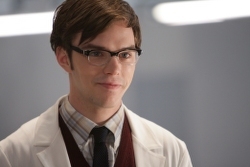 Horrid Henry: The Movie in 3D is released in cinemas on July 29, 2011. 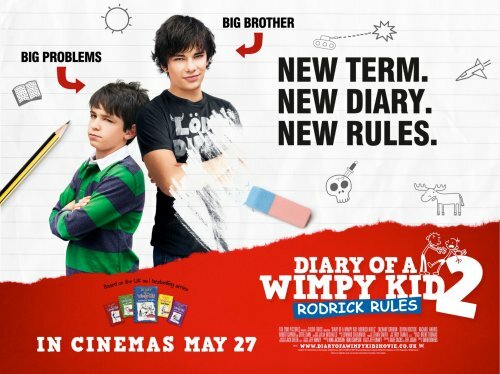 To celebrate today's launch of Diary of a Wimpy Kid 2: Rodrick Rules I've been sent over a load of new clips and TV spots for your enjoyment. In this sequel to 2010's surprise hit, Greg Heffley, the kid who made 'wimpy' cool is back in an all-new family comedy based on the best-selling follow-up novel by Jeff Kinney. (Kinney's 'Wimpy Kid' series has thus fat sold 42 million books). As he begins seventh grade, Greg and his older brother - and chief tormentor- Rodrick must deal with their parents' misguided attempts to have them bond. At this year’s MCM Expo, taking place on the 27th – 29th May 2011, Twentieth Century Fox are giving attendees the chance to win a seat at an exclusive screening of X-Men: First Class. An official ‘X’ will be hidden somewhere inside MCM Expo, London’s Comic Con, taking place at the Excel, London. If attendees find the ‘X’ they will need to take a picture and upload it to Twitter using the hash-tag #XMENEXPO to be in with a chance of winning. Once all pictures have been uploaded to Twitter with the correct hash-tag, a winner will be picked at random on the 30th May to attend an exclusive screening in London. 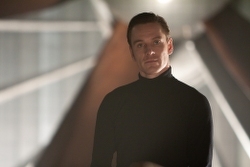 Only yesterday there was 8 new images for X-Men. 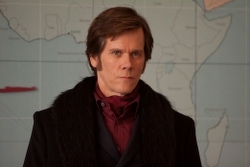 Now another dozen images were released for the film. 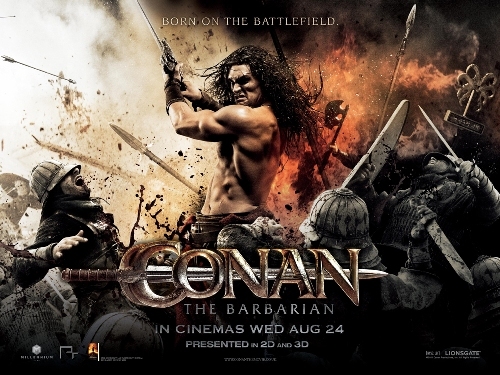 More Conan news - Lionsgate has released an actiontastic new poster for the film as well as a tie in with Age of Conan. If you missed the trailer then head over here and watch it. Funcom's award-winning and critically acclaimed massively multiplayer online game Age of Conan announces new content that will tie together the game and the upcoming movie Conan the Barbarian. Set 20 years after the movie storyline, an epic new adventure pack - 'The Savage Coast of Turan' finds players being sent by Conan, now King of Aquilonia, to aid his old ally Artus. The new adventure pack includes but is not limited to content from the movie, and allows players to follow epic storylines in Conan's realm. I've just been informed about the new documentary from the award-winning director, James Marsh (Man On Wire). 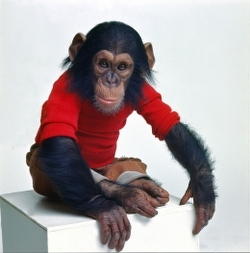 This is Project Nim, a film about a chimp. 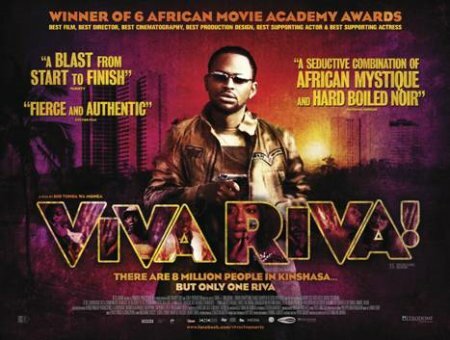 The film won the coveted World Cinema Directing Award: Documentary for the film at this year’s Sundance Film festival. The film will have its UK premiere at this year’s Sheffield Doc/Fest on 10th and 12th June and at the Edinburgh Film Fest on 18th and 20th June before coming to cinemas on 12th August.